The Bug Boys: The price you pay to look COOL! The price you pay to look COOL! Well, I decided to extend my garage today and work on Ed. I wanted to get the front beam pulled out and assess the damage to it. 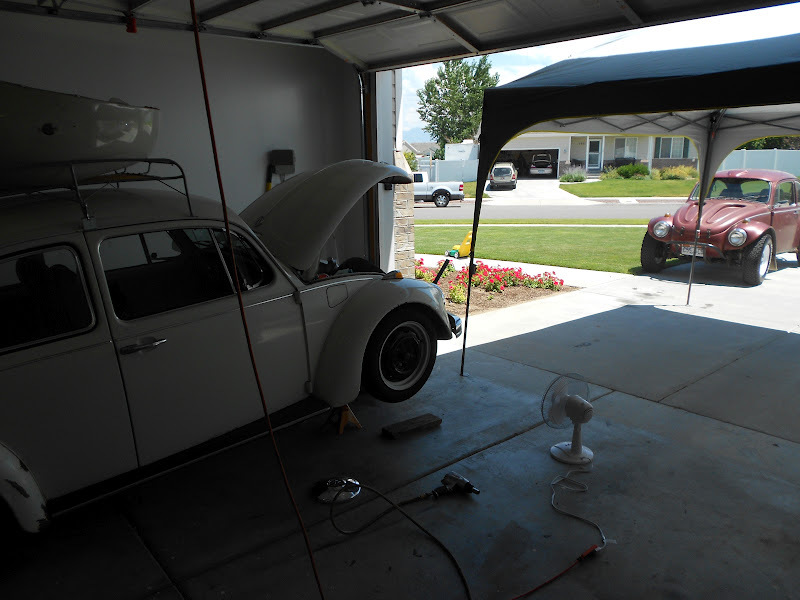 It was a pretty hot day so we set up the canopy to shade the front of the bug. It worked really good. I got side tracked today hunting some voles that decided they liked our tulip bulbs but I was able to kill the voles (hopefully) and get the beam out. The beam was damaged beyond repair and I really feel kind of bad about it. 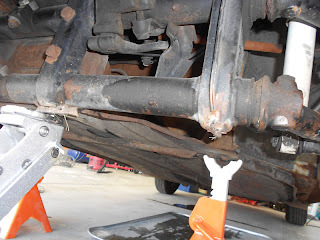 The way I look at it, Ed had this front beam under him for 43 years and it served him really well until I come along and lower him and then run him into a construction plate. Hmm. Maybe I should raise him back up. If I did that he wouldn't look nearly as cool as he does lowered. I think I will keep him lowered. 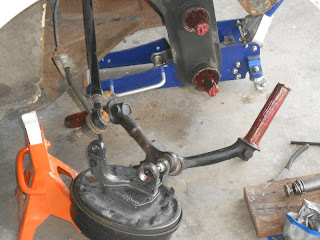 I am going to reuse the torsion arms since I just replaced the ball joints in them and they look to be in OK shape. 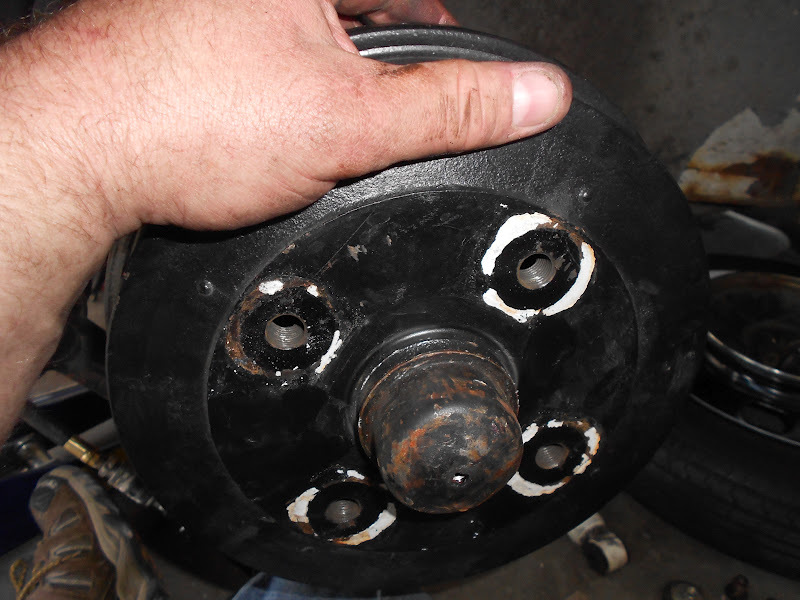 Remember to remove the speedometer cable on the left side before you remove the spindle. So here it is with the tie rods, steering stabiliser and torsion arms removed. 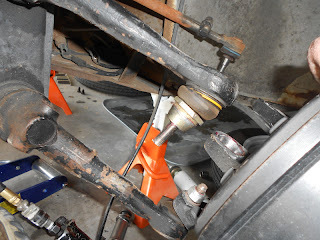 The top torsion arm can easily be removed out of the spindle because the camber adjuster just sits in there. The adjuster should stay with the ball joint and it easily removes out of the spindle. 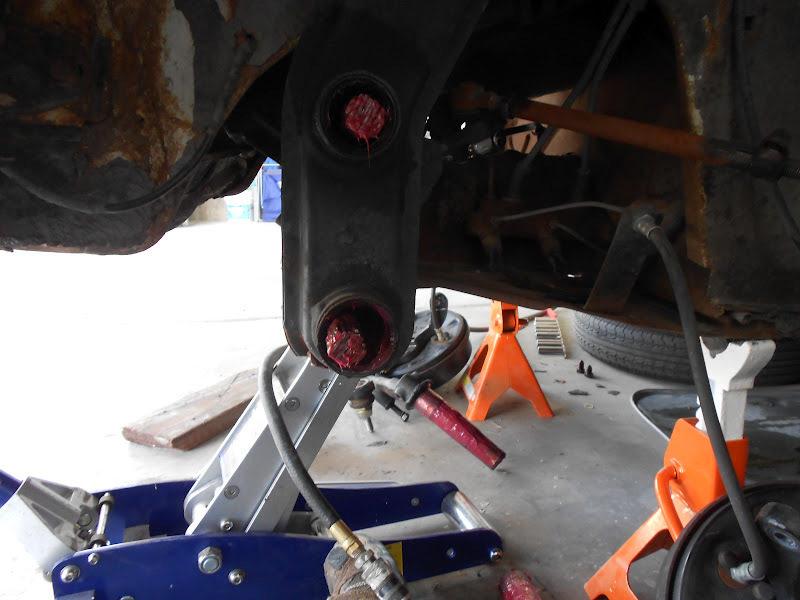 You also need to remove the steering shaft coupling. That's easy with just 4 bolts. 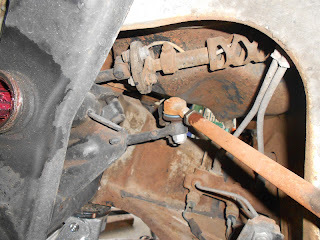 You need to knock out at least the left side inner tie rod end from the steering box.You can leave the right side one on if you want. Here is another shot of the damage. Notice how bent the beam is compared to the torsion leafs. Just look at that tube. It's bent beyond the limits that I am willing to chance in trying to bend it back. At this point you can remove the steering box if it is still serviceable and you want to use it on the new beam. 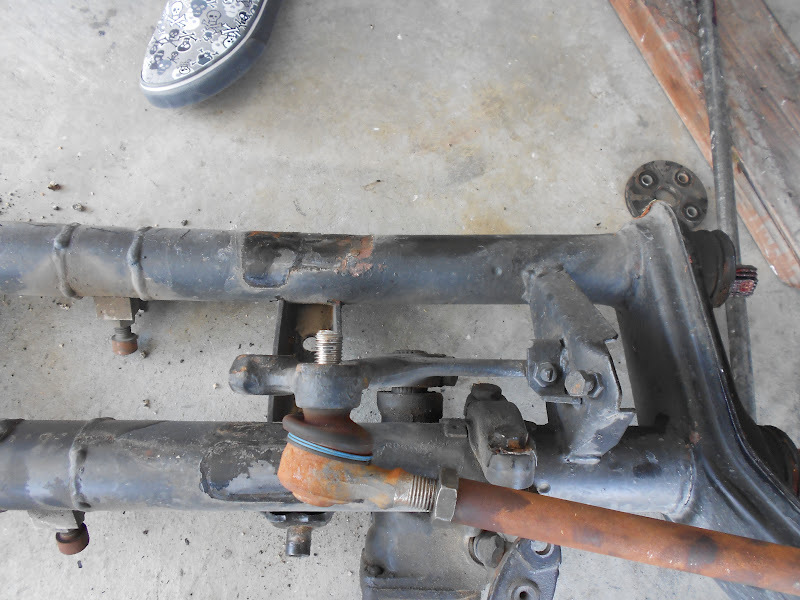 My steering box was perfect and is nice and tight so I am going to reuse it. 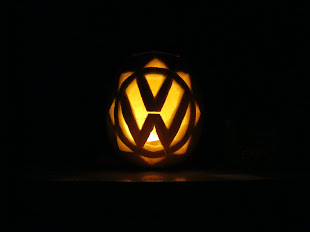 I had a friend from the vw club give me a beam. It's a little bit rough but that's OK because it's straight. The only problem areas there are can be fixed. I have decided to try this one with no adjusters and see where Ed sits. I ended up adjusting my adjusters all the way back up when I put on lowered spindles so it's worth a shot. I am also going to start saving up for a 2 inch narrowed beam with adjusters so this beam may just be installed temporarily. At the end of the day this is where it sits. The beam is out and I overlooked the frame horn a little closer and it looks like it's OK. 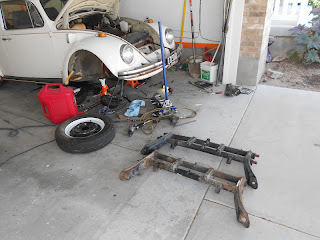 I am going to take my new old beam into work and clean it up a little bit and I need to do some welding on it and then it should be ready to go back in. 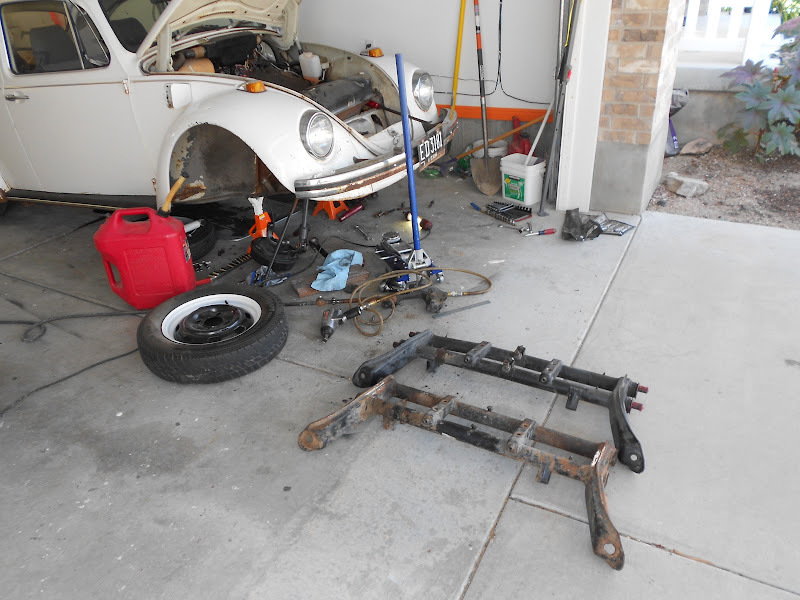 I am also going to weld up the exhaust for tugger so maybe just maybe I can have both up and running again. So if you want to drive around in a really cheap? car that looks super cool, be prepared to spend a little bit of money maintaining it. Just don't jinx yourself by telling the whole blog world that it's up and running good because that's when life will throw you some lemons or at least a construction plate to run into. Never fear though, It can easily be fixed. It just takes money. That's the price you have to pay to look cool! Sounds like Victory to me! 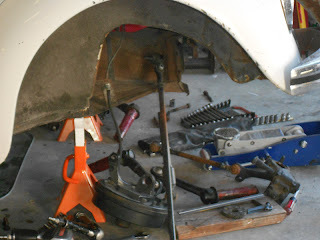 Fitting the exhaust for welding.